Fil are a Surrey-based coffee chain that offer high-quality food and beverages. The design aesthetic for the brand is bold colour, stunning food photography and a playful use of the “Re:” prefix. 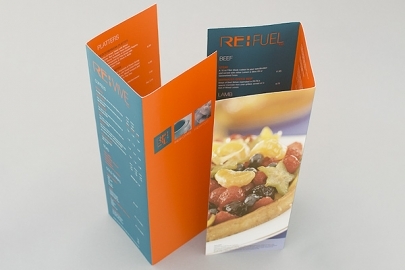 The impact of these menus in maximised with six-colour printing and matt lamination to give a modern, luxurious finish.